Built 1916-1922. Opened 22 July 1922. Named in honour of the Portuguese poet, Bernardim Ribeiro (c.1482-c.1552). 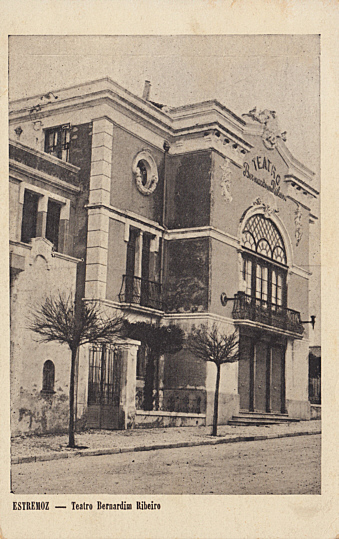 Front Text: "Estremoz - Teatro Bernardim Ribeiro"